Australia’s expertise in the digital tourism space will be front and centre at a prestigious conference in Sri Lanka on October 30. 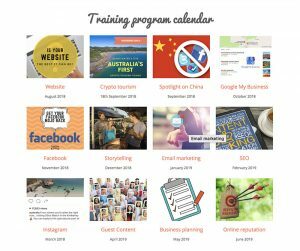 The Cinnamon Travel Bloggers Conference 2018 is Asia’s only travel blogger conference and awards event, bringing together six global travel specialists and 60 of the world’s most influential travel bloggers. Now in its third year, the conference has as its theme ‘Creating Transformational Digital Content for Travel’ and Liz Ward, CEO of Tourism Tribe and one of Australia’s foremost experts in digital transformation, will be sharing her expertise with the audience. Liz is no stranger to the topic, having spoken about innovation at numerous conferences and events in her role as CEO of Tourism Tribe, an online community of more than 1,600 businesses around the world. 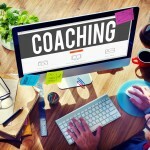 Tourism Tribe is a leader in digital technology and coaching for the tourism industry, helping businesses upskill and take advantage of digital tools and technologies, ultimately making them more efficient and more profitable. Ms Ward will deliver this particular keynote speech via live video, practising what her business preaches, which is that all tourism operators can have access to top industry experts, no matter where they are in the world, through the use of technology. She will present three different Australian and Sri Lankan marketing campaigns where content was integral, including the now-famous ‘Best Job in the World’ campaign, which ran in 2009. Best Job in the World invited people all over the world to apply for the role of ‘caretaker’ on Hamilton Island for six months and netted Tourism and Events Queensland and Tourism Whitsundays millions of dollars of worldwide media coverage. Ms Ward, who will be joined on the speaker’s podium by global travel experts from CNN International, Google, Expedia and Zanadu, will share the content used in each of the three campaigns with delegates, and demonstrate why it worked so well and how success was measured. 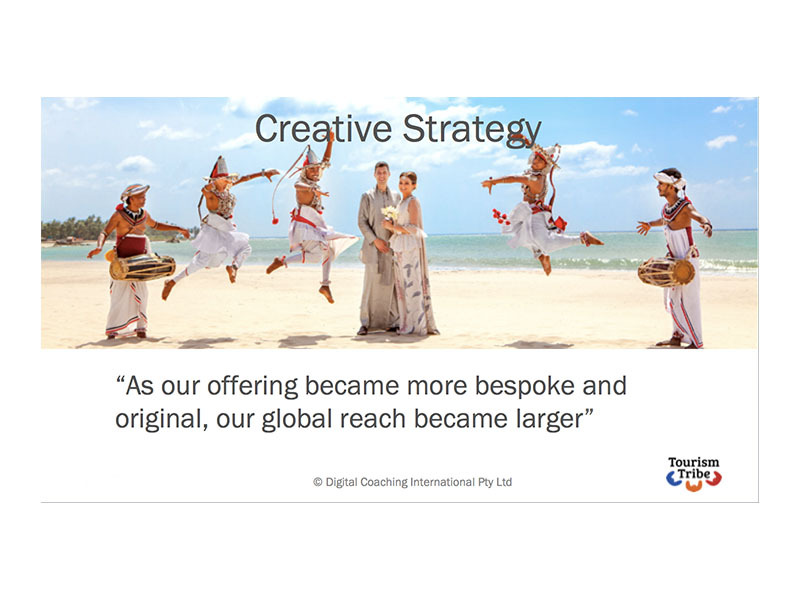 “It is very exciting to be talking to so many businesses about innovative marketing and sharing our expertise with an exciting emerging tourism destination like Sri Lanka that’s rapidly becoming a must do for savvy travellers,” Ms Ward said. “Digital transformation is innovation – innovation is required for digital transformation to happen – what can you do that’s new or different to improve the customer experience? “It’s about attitude and the licence you give to your staff to challenge ways of doing things and embracing change and being prepared to fail. The Cinnamon Travel Bloggers Conference 2018 will take place at the Cinnamon Grand Hotel, Colombo, Sri Lanka and is hosted by Cinnamon Hotels & Resorts and targeted at tourism businesses. As well as gaining valuable insights from six global travel specialists, delegates also have the opportunity to network with 60 of the world’s most influential travel bloggers. Visit www.tbcasia.com for tickets. And don’t forget to keep up-to-date with Tourism Tribe on our Facebook page!